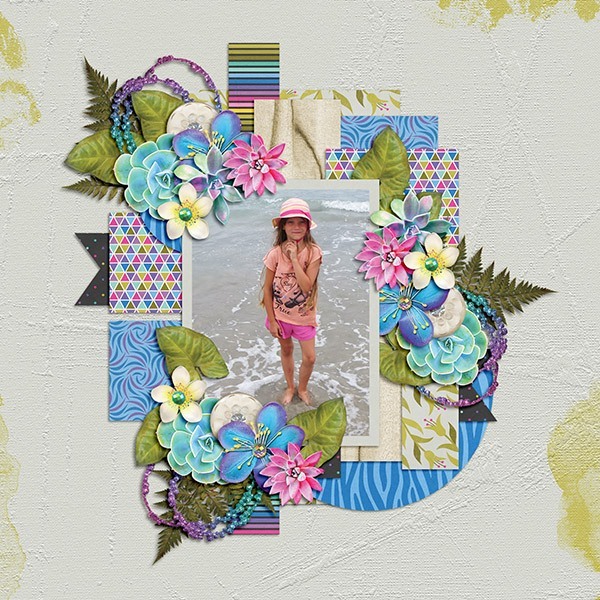 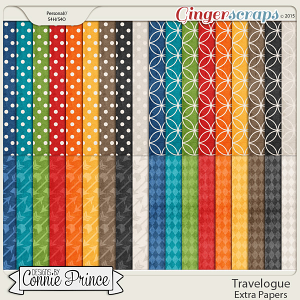 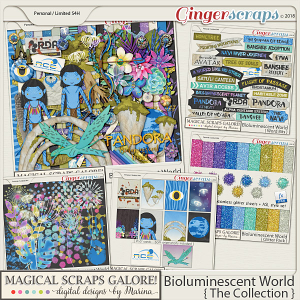 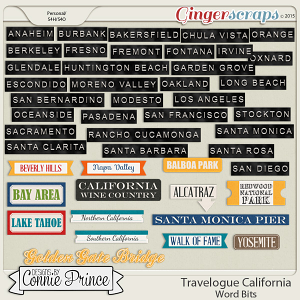 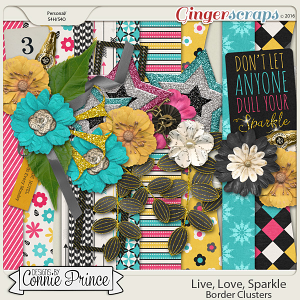 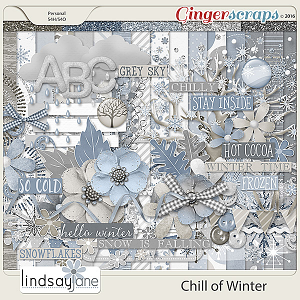 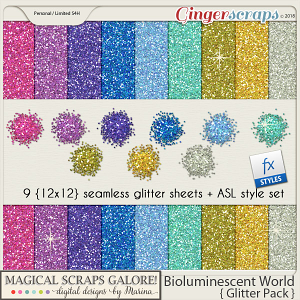 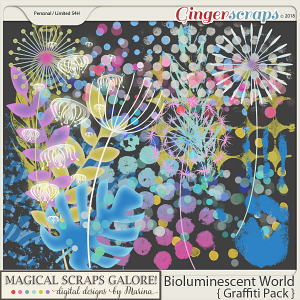 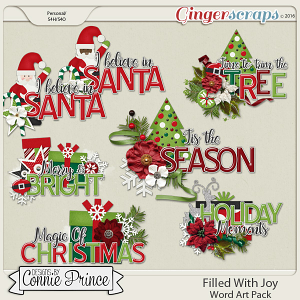 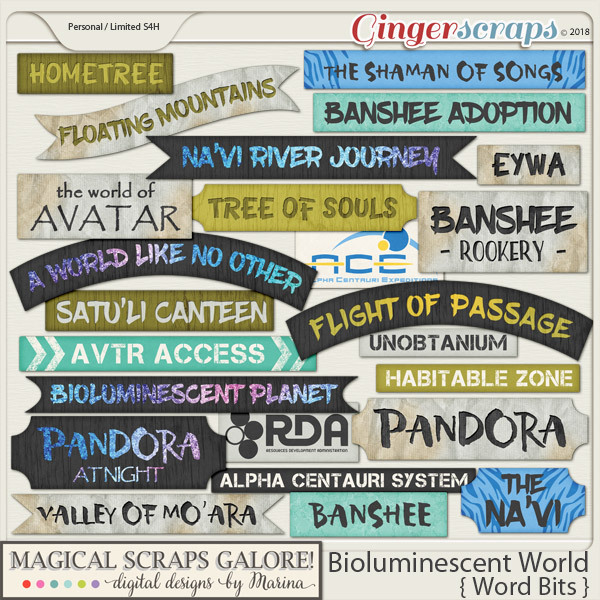 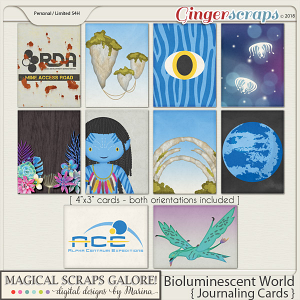 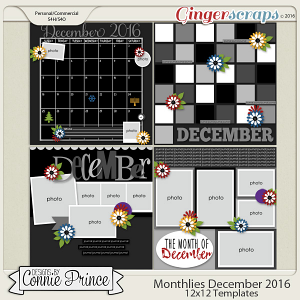 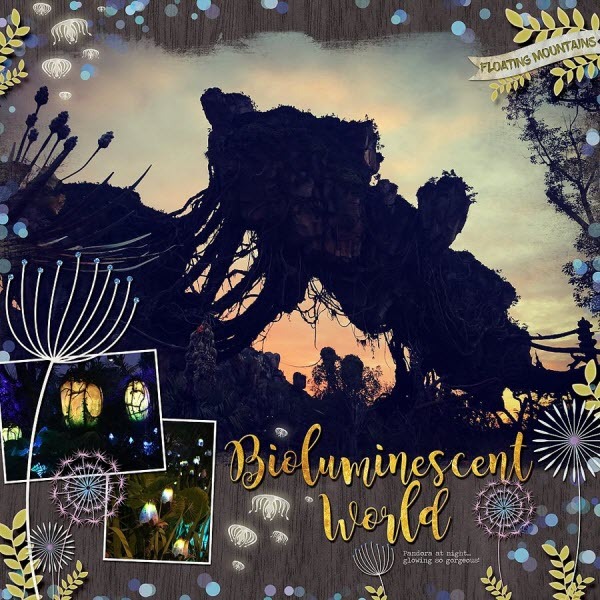 24 word bits that coordinate with the Bioluminescent World page kit and pieces. 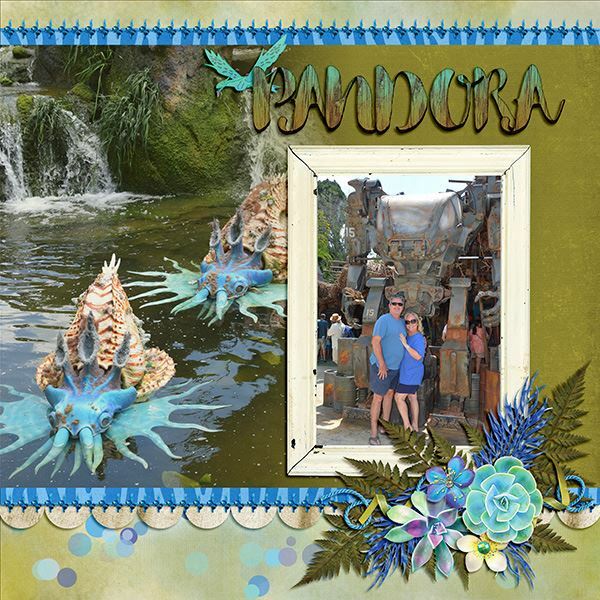 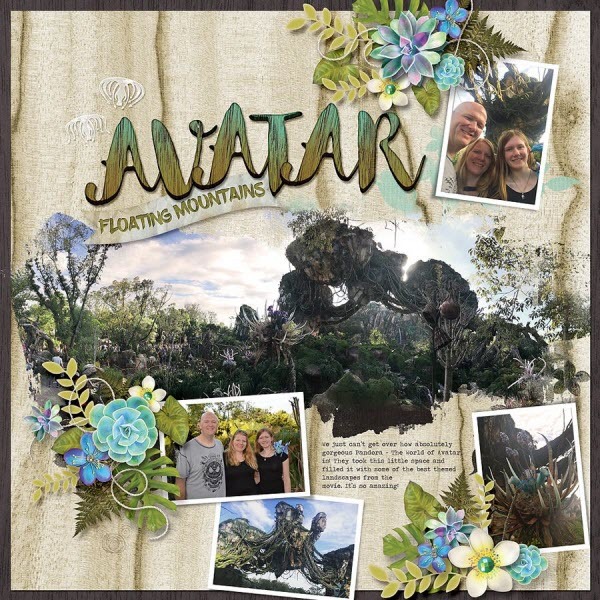 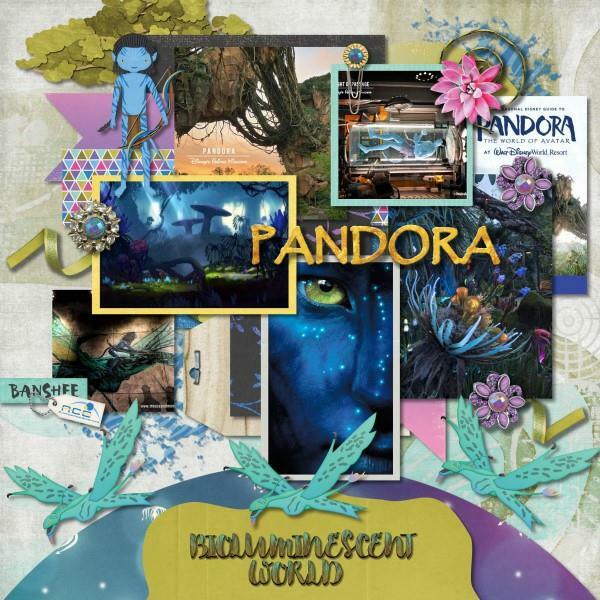 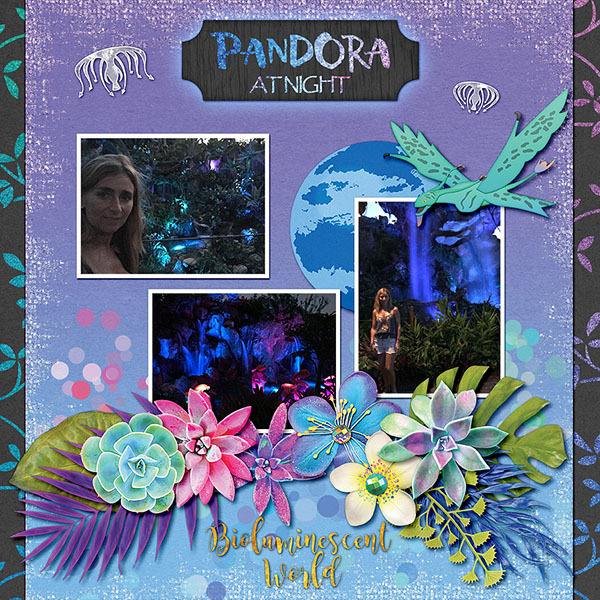 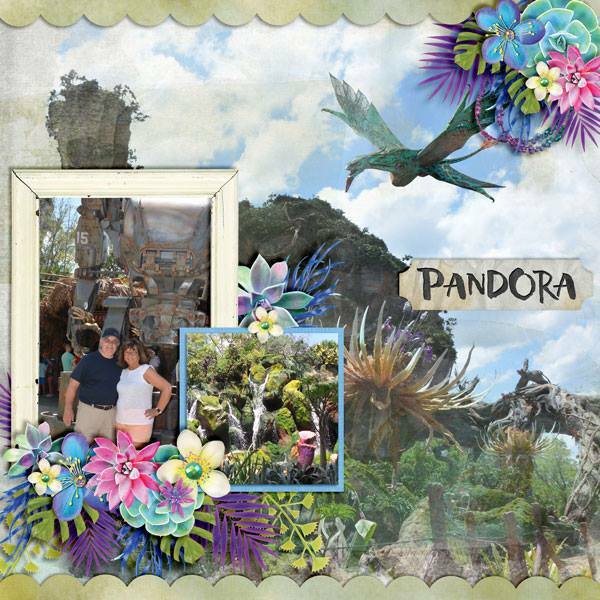 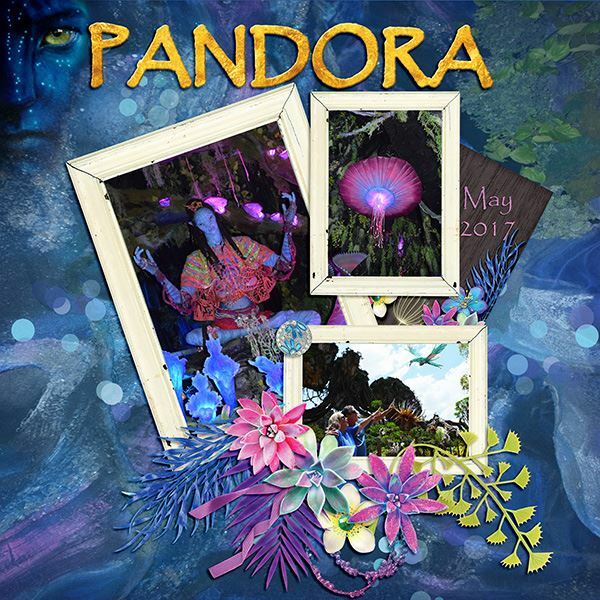 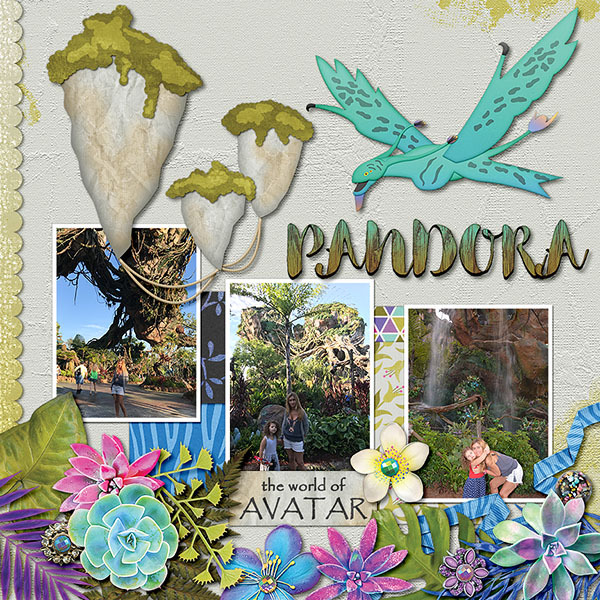 Bioluminescent World is a magical collection inspired by Pandora, the World of Avatar section at Animal Kingdom park. 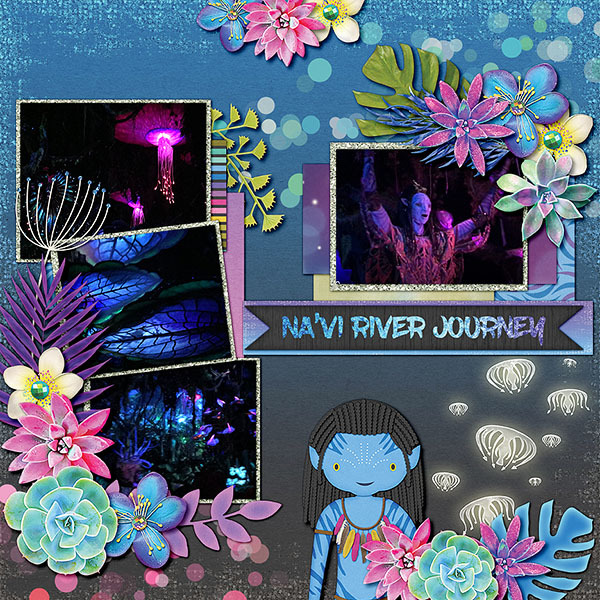 From the astounding floating mountains to the bioluminescent flora, Na'vi natives and soaring banshees, this collection includes everything you need to scrap your Pandora pictures, whether you are exploring the otherworldly landscape during the day or after sunset, riding the boat down the Na'vi River, or taking flight on the back of a mountain banshee.